• Improve the livelihoods of smallholder farmers and their communities. The partners include government, global business, the Tanzanian private sector, farmers, foundations and donor institutions. • Bachelor Degree in any social science field, preferably agribusiness, communication, Business Administration, and Public Administration. Post graduate qualifications in any of the fields will be an added advantage. • Fluency in English and Kiswahili languages is required (written and oral). • At least three years specific work experience in partnership coordination is an added advantage. • Strong knowledge of MS Office including; Word, Excel, Power point and Outlook is a must. • Knowledge of project management, administrative and clerical procedures, managing files and records, accuracy in terms of data management. • Good team player with good interpersonal skills, flexible and a problem solver with a strong client service orientation. • Ability to coherently write and present simple reports. • Ability to prioritise competing demands and organise, plan daily and weekly workloads, meet deadlines and be punctual. 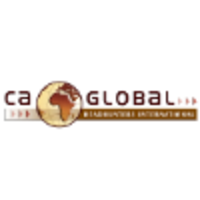 Please apply directly, by clicking on the Apply Button and visit for the latest CA Global jobs. 3) Improve the livelihoods of smallholder farmers and their communities. Promote a positive, consistent and clear image of the firm’s initiative and brand towards partners and direct stakeholders. The Communication expert will be responsible for the development, implementation and management of the firm’s effective communication and branding strategies across the board. The role will also provide guidance and support in the development and production of media events and engagements for internal and external stakeholders as well as wide publications and media materials, including print, photo, and video for all activities in the area. • Contribute to design material for both national and international media outlets to ensure the information shared about the company is accurate and consistent with stated priorities and perspectives. • Knowledge of international and national mass media, with existing media contacts. • Photographic, graphic design and video skills will be an added advantage. • Fluency in written and spoken English and Kiswahili. • Good knowledge of working with private partners and their good customer care would be an advantage.